It seems that famous video game publisher Bethesda Softworks is not happy with the gamers who sell the physical copies of their used games to collect some bucks and purchase another game. 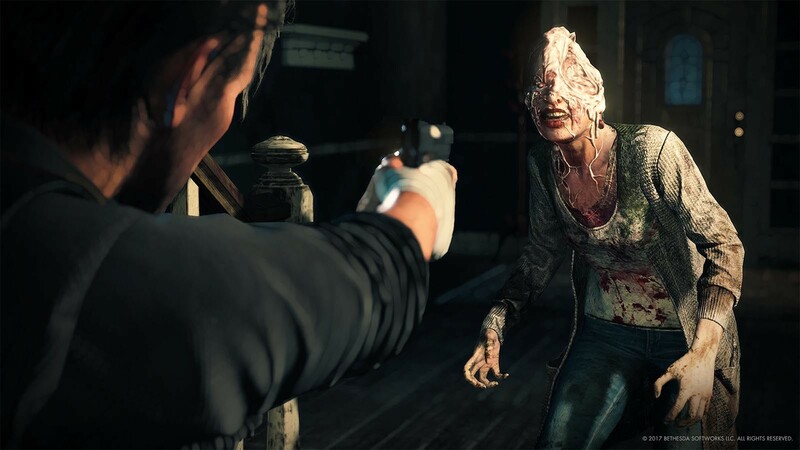 According to the reports, the video game publisher will take action against the people who resale their used, second hand copies of the games online published by Bethesda as one user posted a listing on Amazon Marketplace for the sale of ‘new‘ copy of The Evil Within 2 for a price, but was served a notice from the company’s legal representatives Vorys who also threatened the user to remove the listing or he will face legal consequences. “Unless you remove all Bethesda products, from your storefront, stop selling any and all Bethesda products immediately and identify all sources of Bethesda products you are selling, we intend to file a lawsuit against you,” – says the letter by Bethesda’s legal representative. The letter mentioned that the company sell its products through authorized channels only, whereas the game’s listing mentioned that the copy of The Evil Within 2 is ‘sealed’, which comes under the category of false advertising. The letter also mentioned a couple of phone numbers of other sellers who were caught reselling the game’s copy online, indicating that the company has been monitoring such activities and will be taking action against all of them. Ryan Hupp, the person who posted the listing of game’s PS4 copy on Amazon Marketplace showed the letter to new website Polygon and explained the matter. Hupp said that he purchased the game with intentions to purchase the PlayStation 4, but there were some change of plans and he spent his money for the gaming PC, which appears to be the reason why he posted the game with the label ‘sealed’ as he never opened the wrapping. Hupp responded that the resale of used goods such as DVDs and games are protected by the ‘First Sale Doctrine’ of U.S laws, if they are still in their original form and not altered. Whereas Bethesda’s argument is that the sale is not protected by the country’s law as it doesn’t include the warranty covered by the company, which makes them somewhat materially altered and not original. There are many other online forums, including eBay where the sellers offer a number of used games for a price or sometimes trade with other game and if the company intends to take action against all these unauthorized sellers, it will become difficult for anyone to sell the used copy of their video games. According to Polygon’s report, Bethesda has declined to comment on the matter and their legal representative Vorys also didn’t respond regarding the matter. What’s your take in this regard?